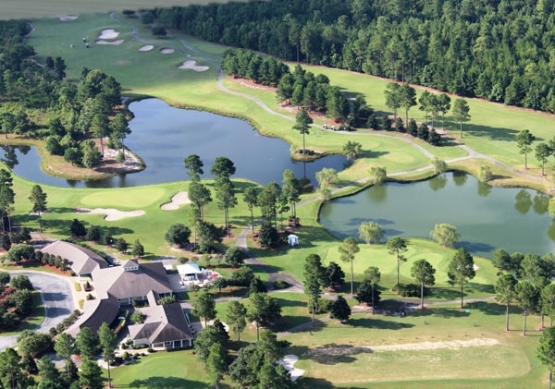 This Myrtle Beach golf course is a favorite for golfers driving to Myrtle Beach. Located just five miles south of Wilmington, North Carolina on Hwy. 17 it is the perfect golf course to play your way into Myrtle Beach, or to visit on your journey back home from your Myrtle Beach vacation. This Tom Jackson design features 27-holes of outstanding golf. Magnolia Greens offers five tee box selections to ensure that golfers of all skill levels have an enjoyable Myrtle Beach golf experience. Beautiful 419 Bermuda grass fairways lead to immaculate G2 Bent grass greens which provide an outstanding day on the links. Magnolia Greens also has an outstanding practice facility for those who want to tune up their game. When visiting Myrtle Beach on your next Myrtle Beach golf package you should include Magnolia Greens on your way in or out of Myrtle Beach. North Myrtle Beach is the perfect place for your next Myrtle Beach golf excursion. The mild Myrtle Beach weather as well as the wonderful North Myrtle Beach attractions will make your visit very memorable. While visiting North Myrtle Beach be sure to enjoy some of the fantastic North Myrtle Beach restaurants such as Flounders Worlds Famous Seafood in Cherry Grove or Greg Norman’s Australian Grille at Barefoot Landing. Book your Myrtle Beach golf package today!